Part Production - Windings Inc. Highly specialized or custom components are often poor candidates for vertical integration due to the specific engineering knowledge, manufacturing skill set and proprietary equipment required. Windings’ core competency is the development and manufacture of optimized electromechanical solutions for critical applications, and the company possesses the knowledge, skills and resources necessary for success, allowing you to focus on what you do best. Windings specializes in engineering electromechanical solutions for critical applications. Because the solutions are often mission critical, Windings maintains the highest standards in engineering, manufacturing and supply chain management. Windings’ Quality Management System (QMS) Certifications include ISO9001:2015, AS9100 Rev D, ITAR Registration (International Traffic in Arms Regulations), RoHS 2002/95/EC and NADCAP Accreditation; and is capable of meeting DFAR compliancy requirements. Prototyping plays an important role in Windings’ practice of concurrent manufacturing to optimize design performance and manufacturability. Windings works one-on-one with clients during the prototyping phase of the project to review results and initiate design changes / process improvements. Prototyping can include anything from simple printed plastic components to ensure fit, to a fully functioning motor assembly to test actual performance. Rapid prototyping using the latest 3D printing technology helps prove design concepts and allows design parameter changes to be made quickly, significantly condensing the overall project timeline while ensuring the best possible outcome. Windings’ manufacturing facility located in New Ulm, Minnesota is capable of accommodating production quantities from 1 to 500 pcs / year. 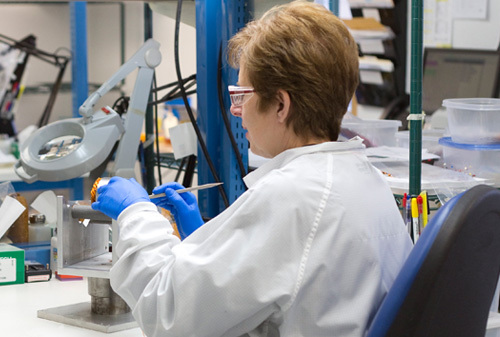 In addition to primary manufacturing, assembly and test areas, facility capabilities include a dedicated motor development cell, large assembly area, a clean space (for Aerospace applications) and a controlled manufacturing environment for specialized applications. Windings’ in-house machining capability with direct access to the production floor, allows changes to be implemented quickly and accurately. Magnet cutting capabilities and a reliable supply of magnetic material increase efficiency and reduce lead times. 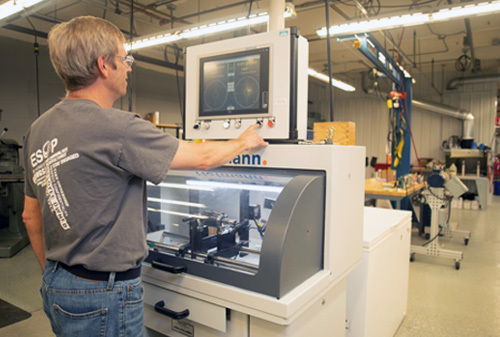 Pilot runs allow an opportunity to establish and refine the manufacturing process. After vetting the manufacturing process in piloting, full-rate production can either continue in the New Ulm facility or be transferred to a low-cost region manufacturing site, depending upon volume. As volume increases so does the pressure to decrease cost; but the expectation for high quality and on-time delivery never changes. Meeting cost, quality and delivery requirements for full-rate production often requires access to production facilities in low-cost regions of the world. 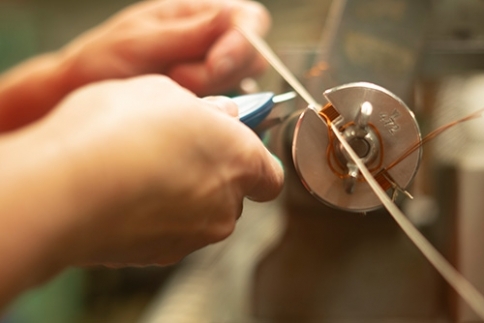 Transferring production of highly sensitive components beyond U.S. borders, however, presents a whole new set of challenges. To accommodate high-volume production of up to 50,000 pcs / year, Windings established a strategic alliance with a highly skilled manufacturer located within a few miles of the U.S. border in Mexico. Windings’ entire supply chain, including international strategic partners, is governed by AS9001 Rev D policies and procedures to meet the client’s strict quality and reliability requirements, and all client requirements including ITAR are flowed down accordingly.